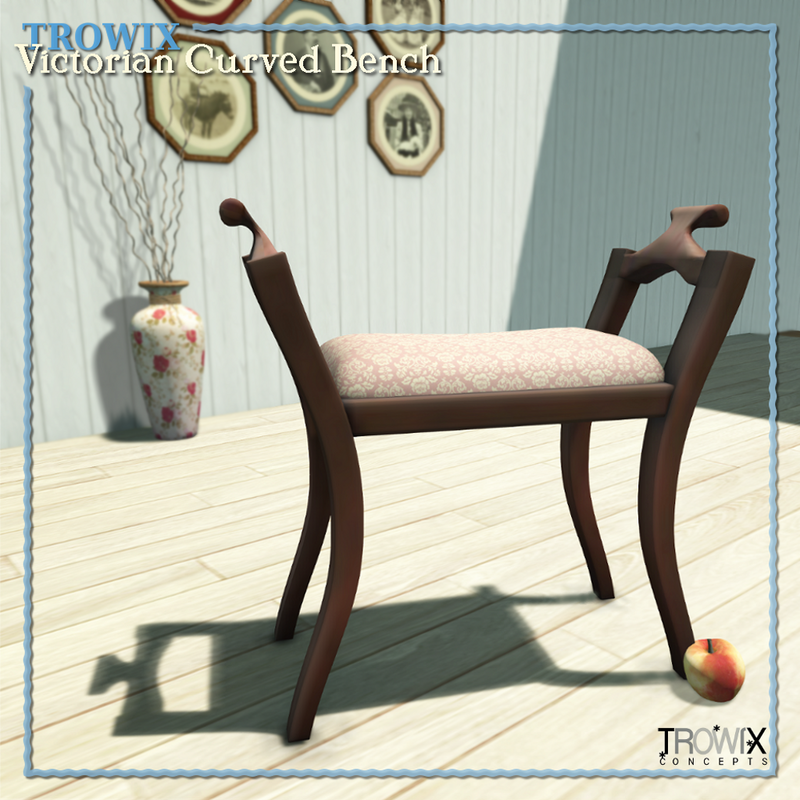 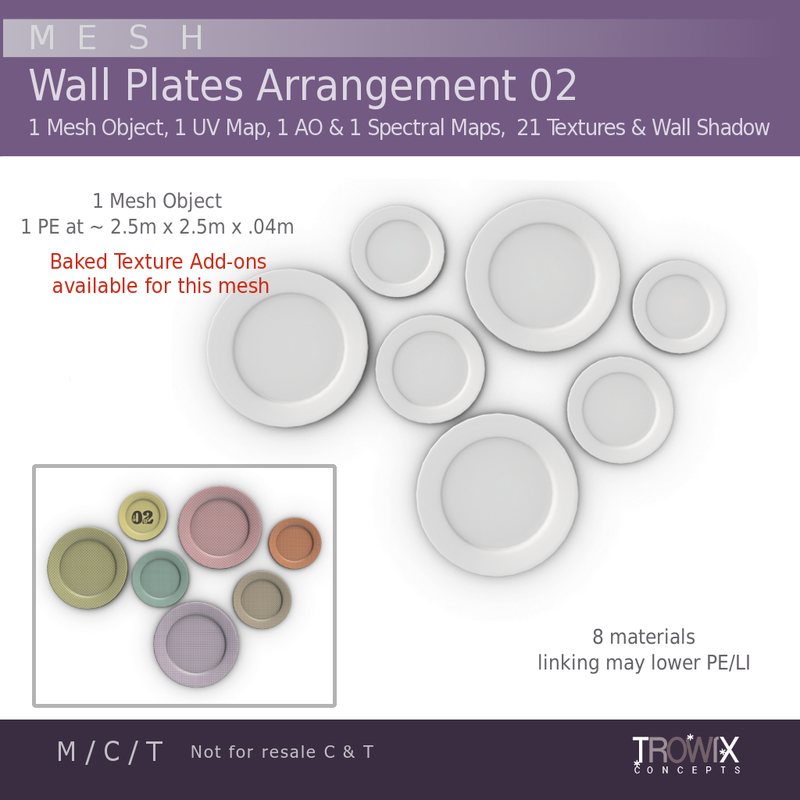 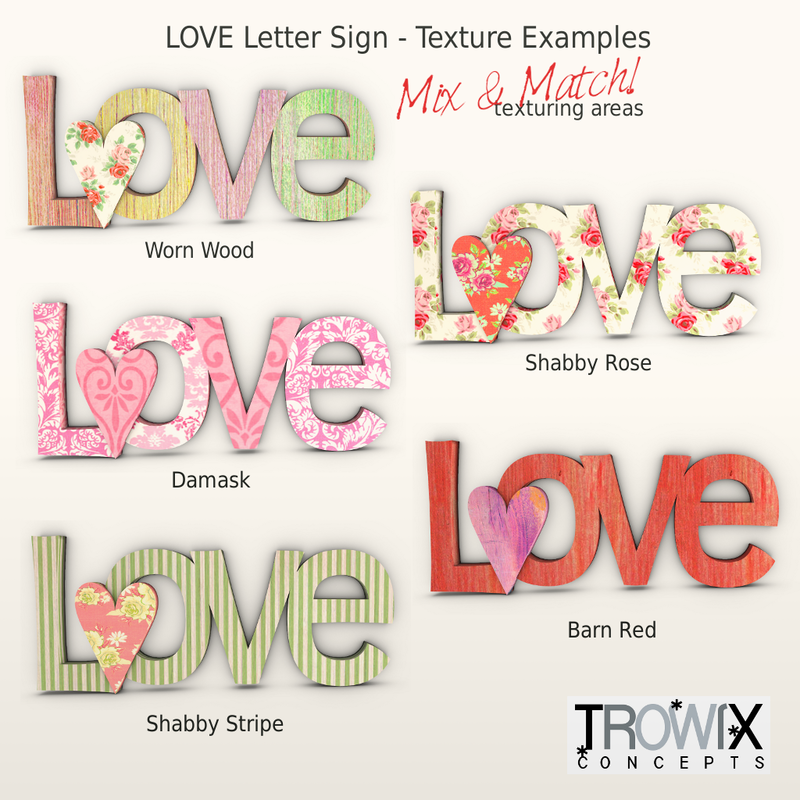 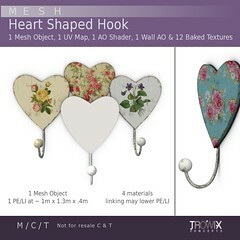 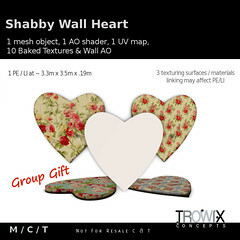 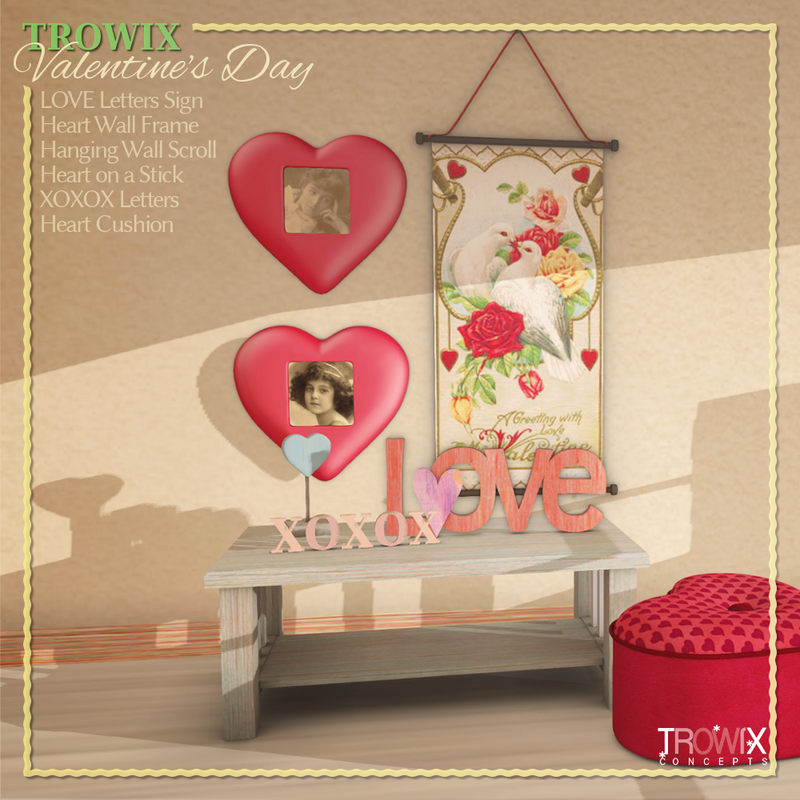 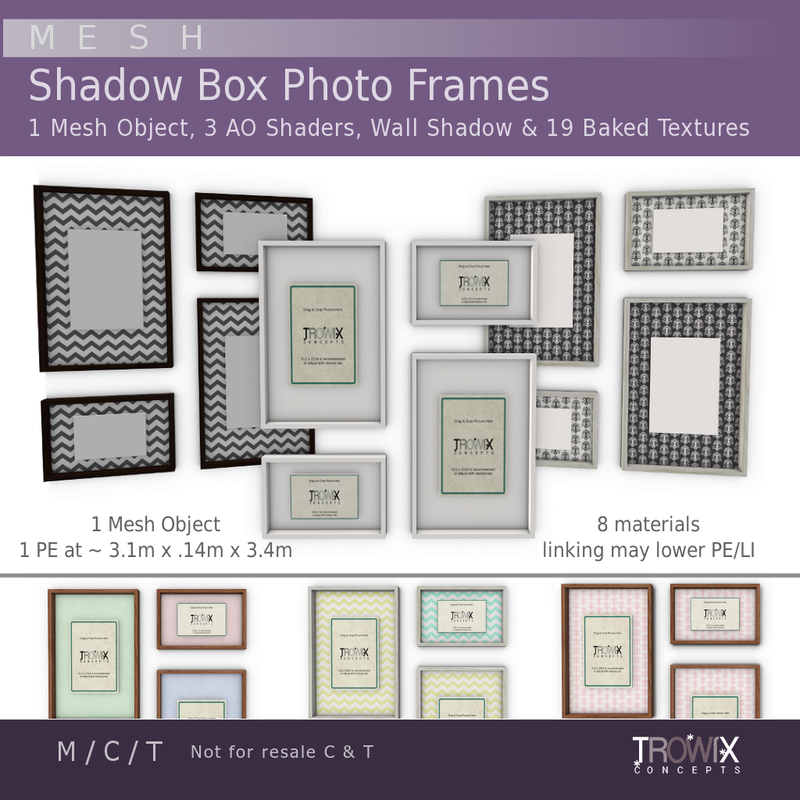 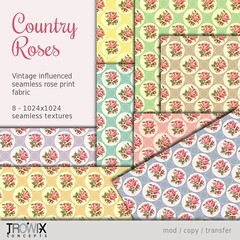 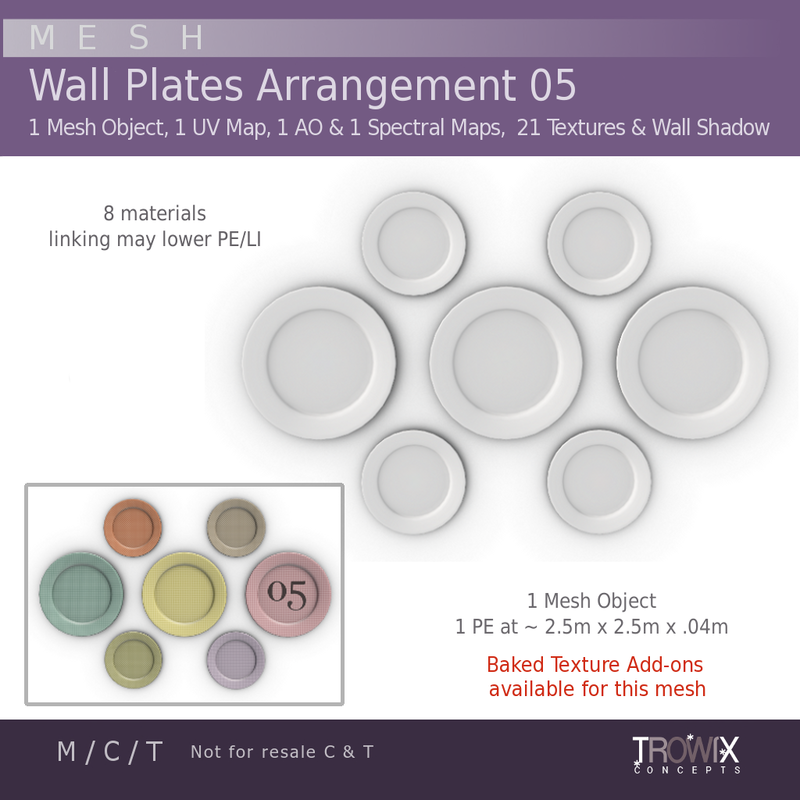 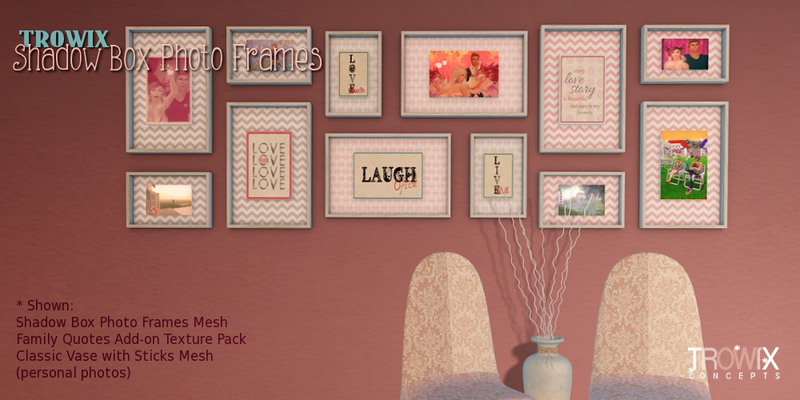 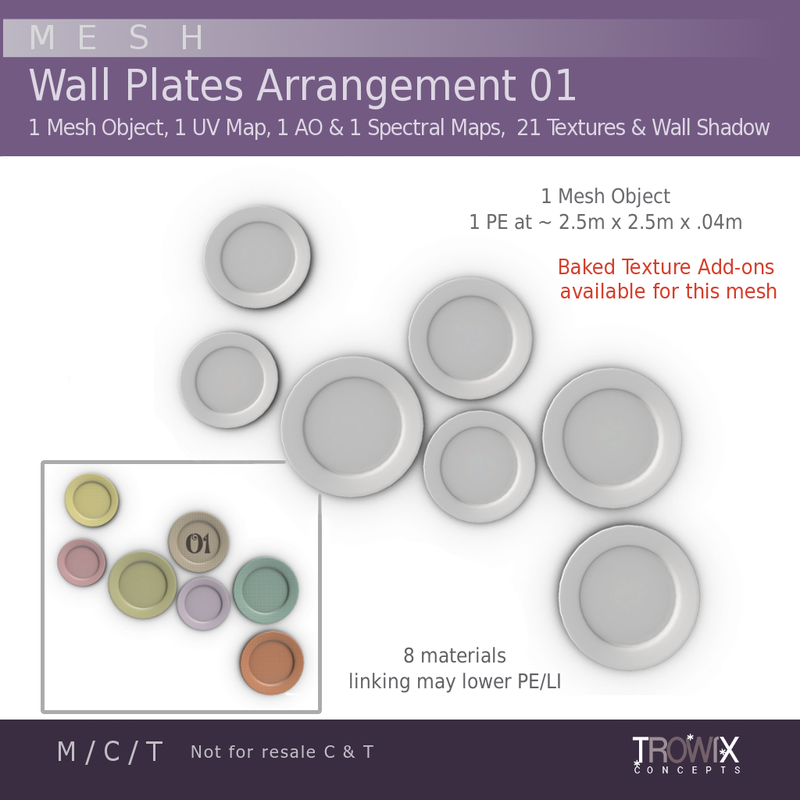 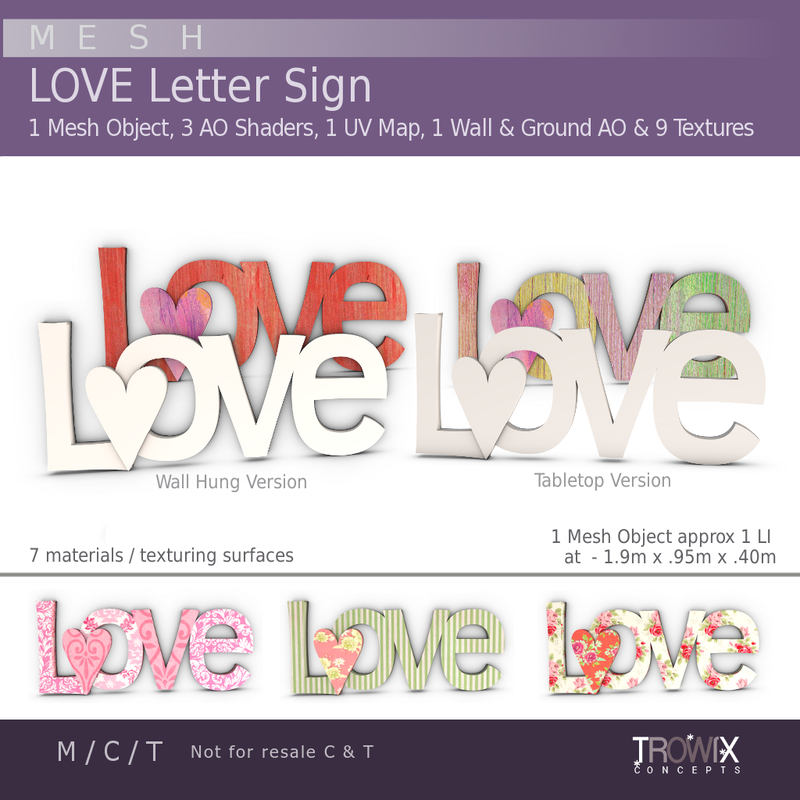 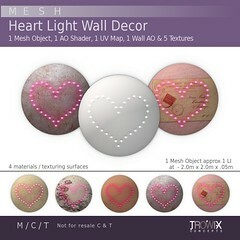 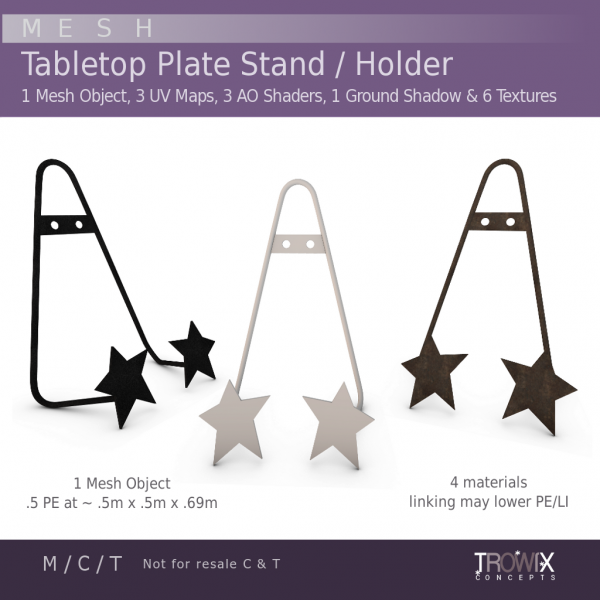 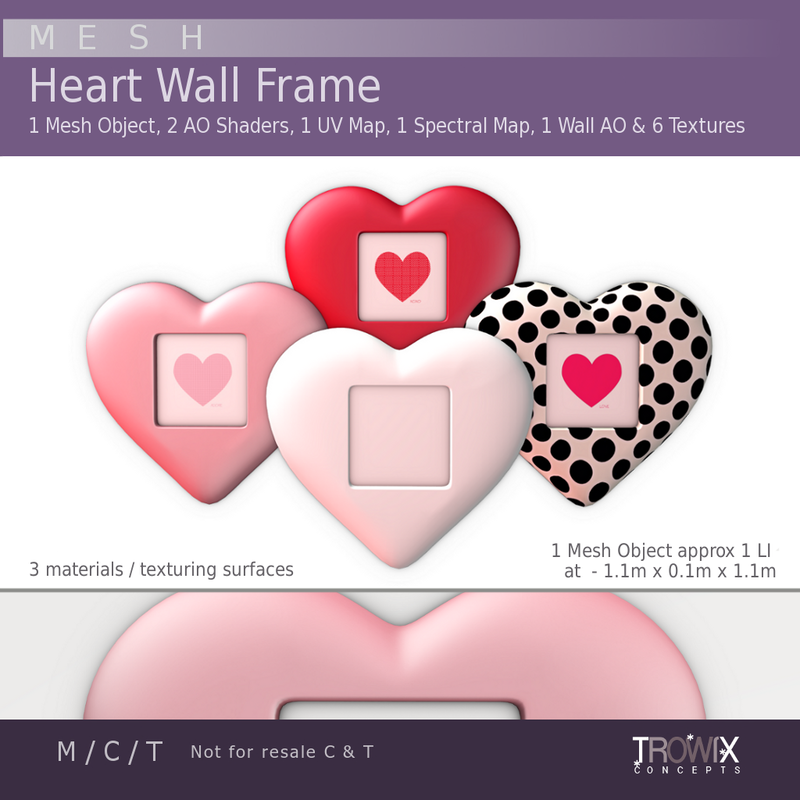 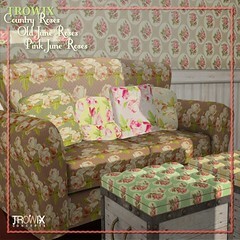 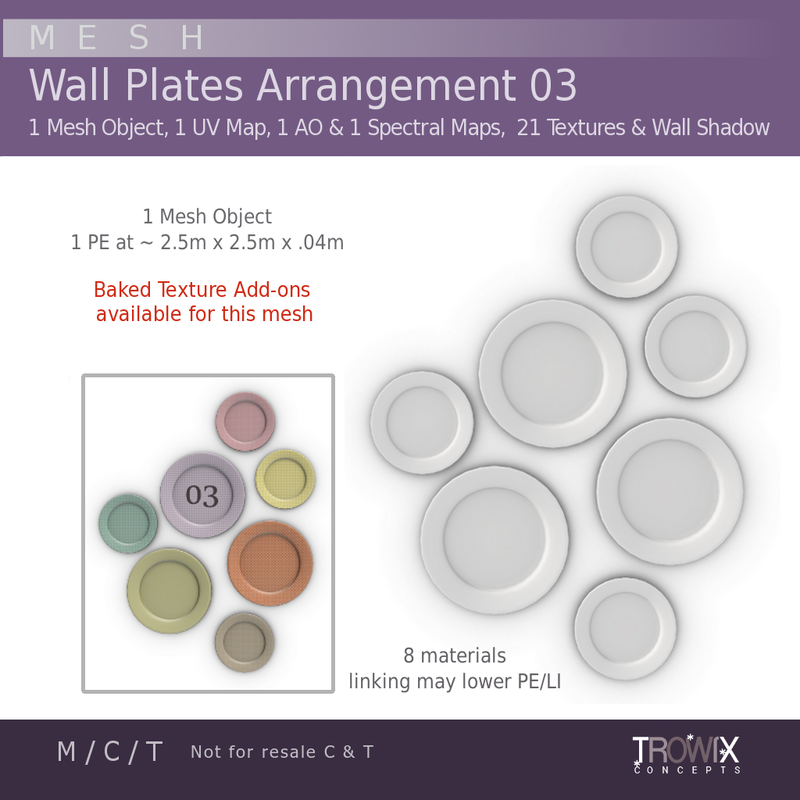 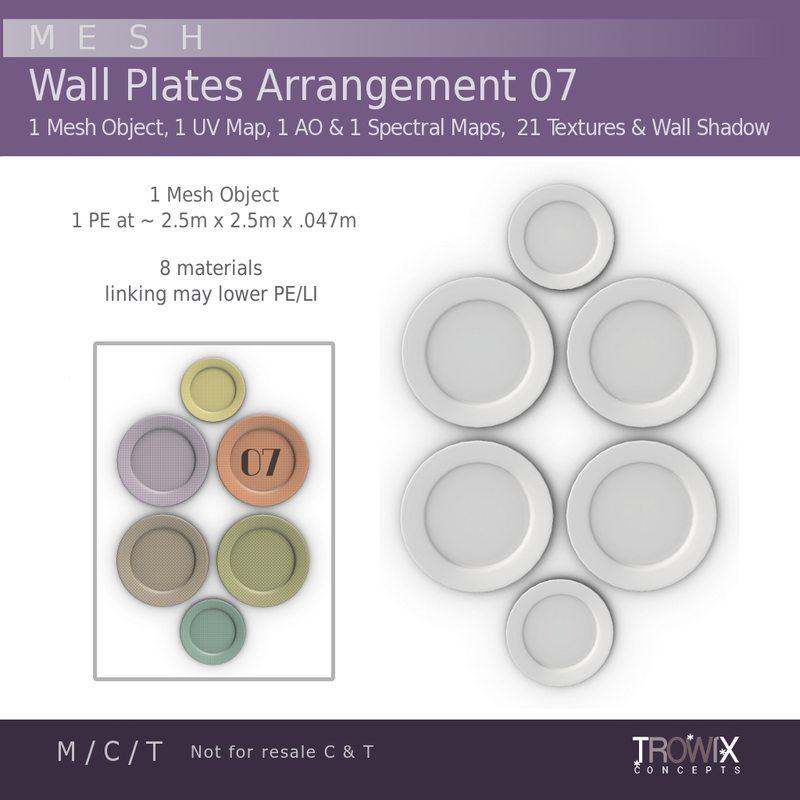 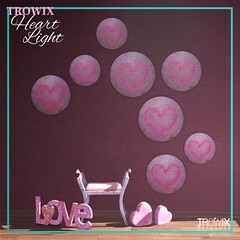 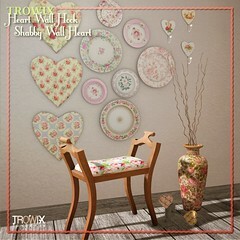 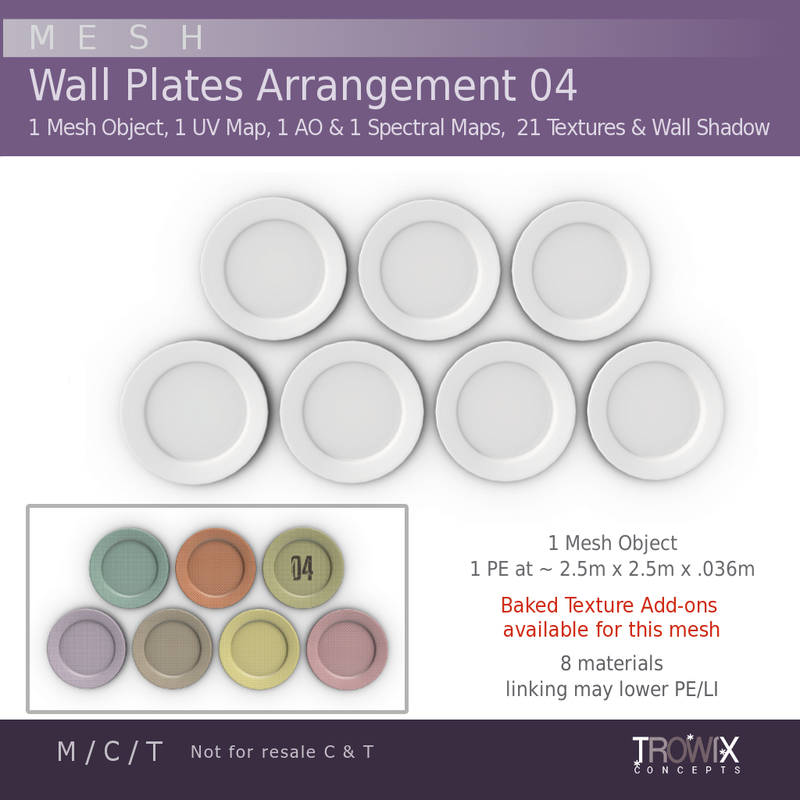 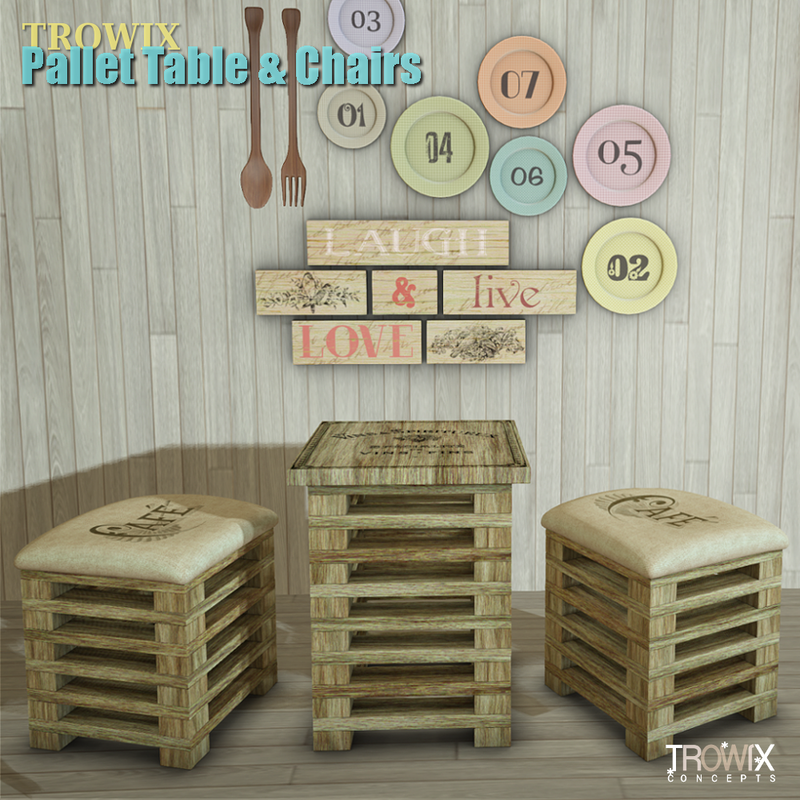 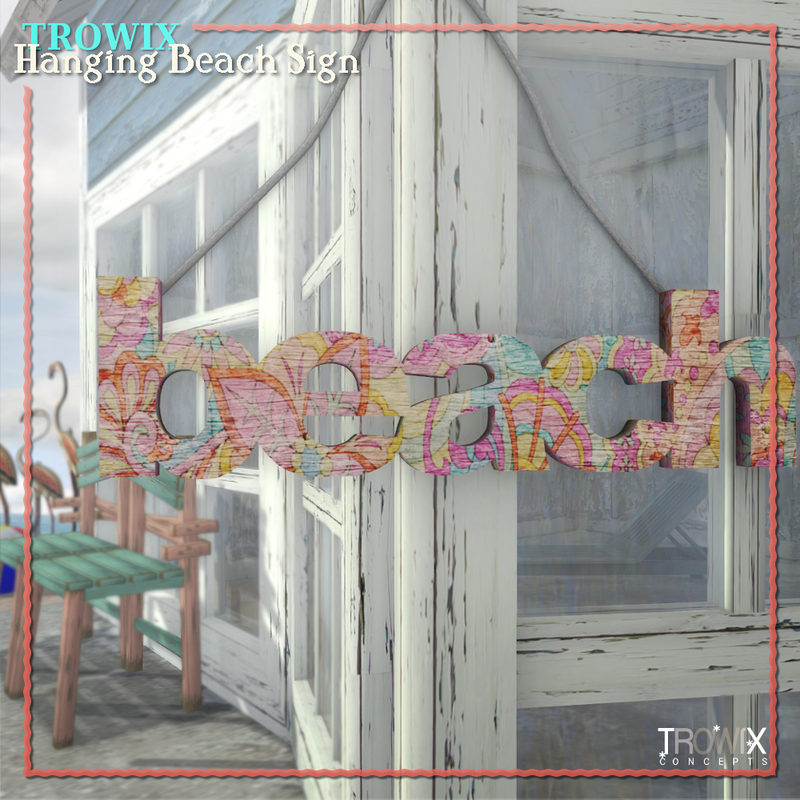 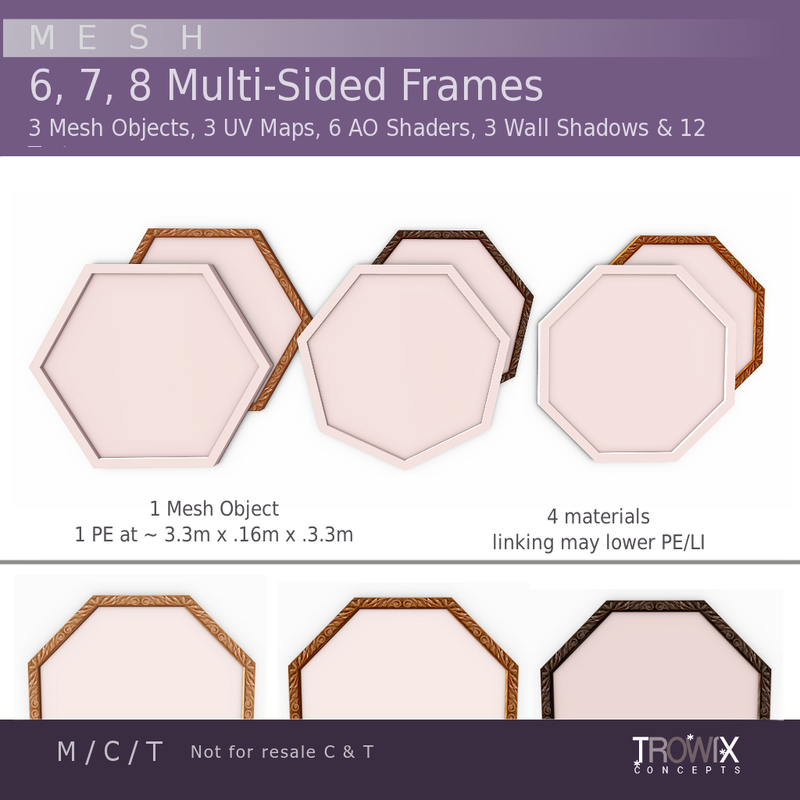 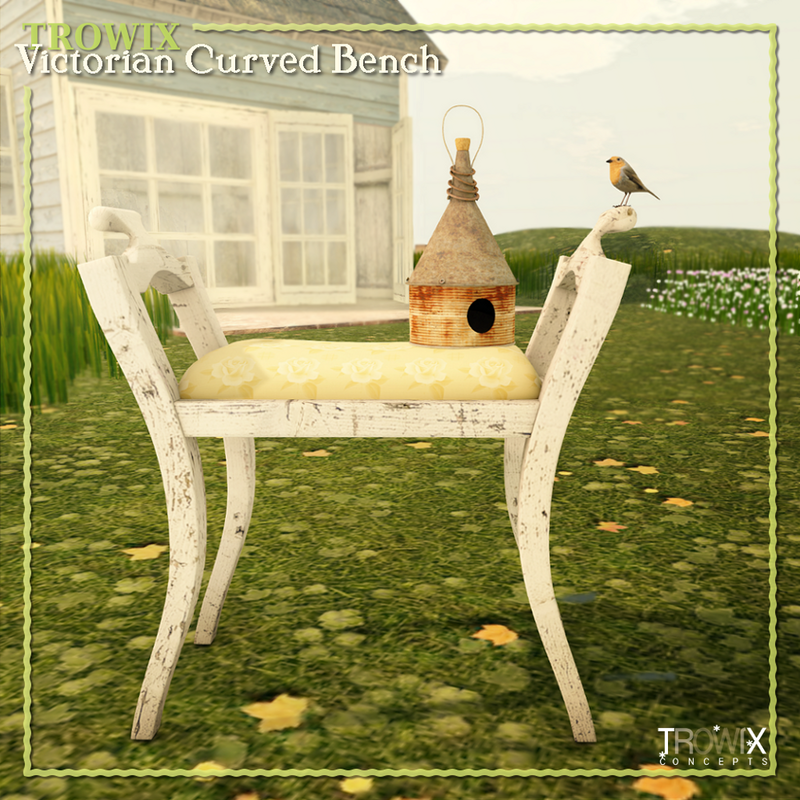 Trowix brings you 7 varied super-low-prim mesh plate wall arrangements. 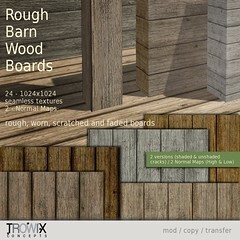 I tacked a whole bunch to the barn store! 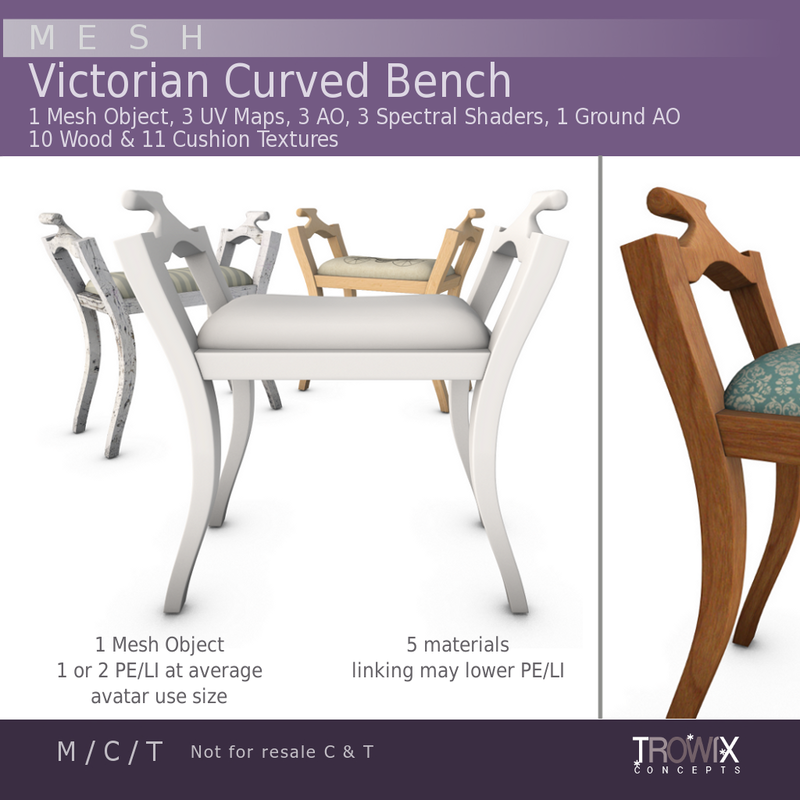 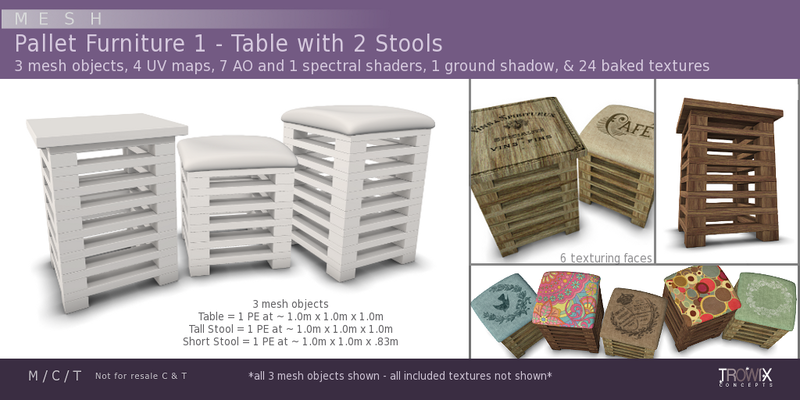 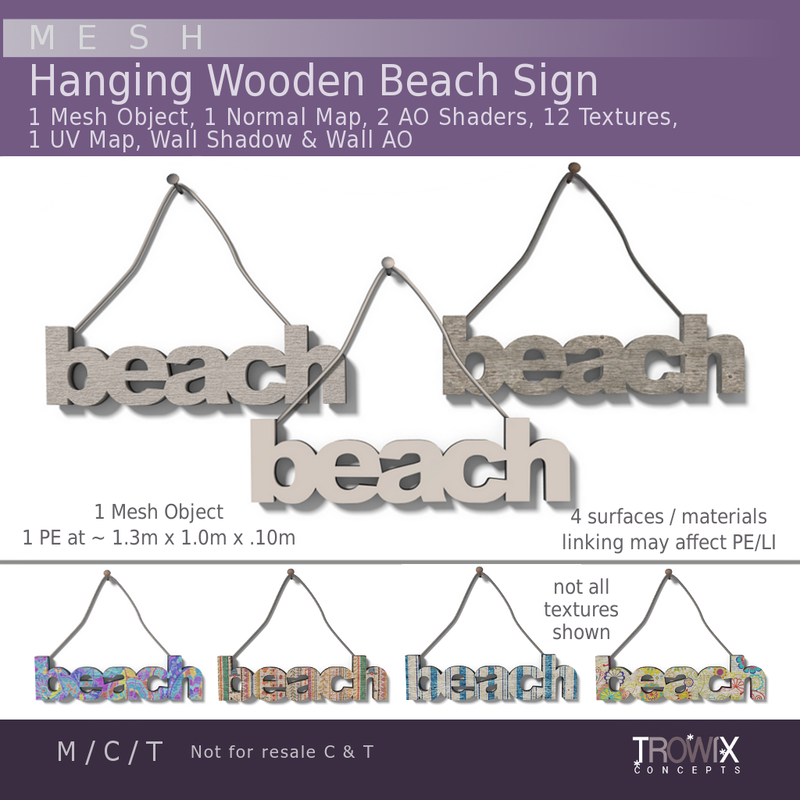 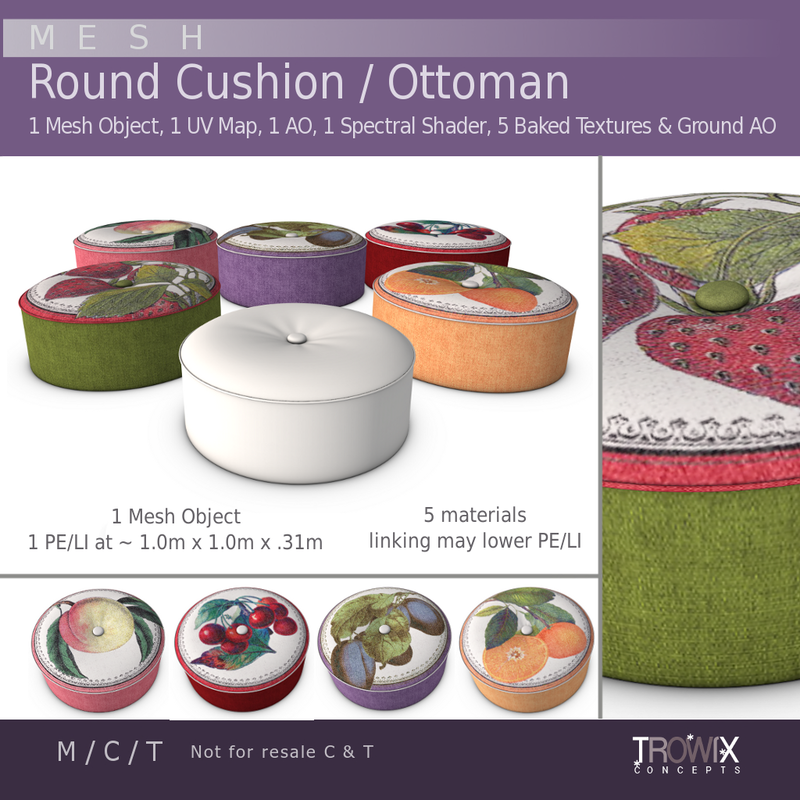 Crafted for excellent, undistorted texturing with AO and spectral shaders. 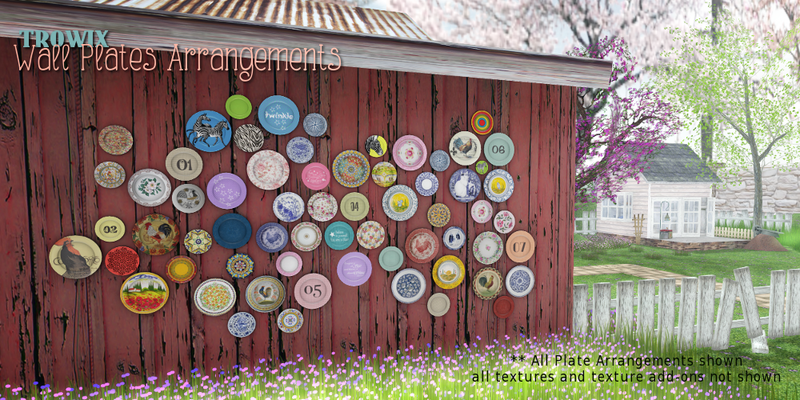 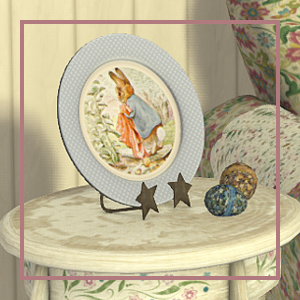 Use 2 or 3 or more groups to create just the look you want with only a few prims. 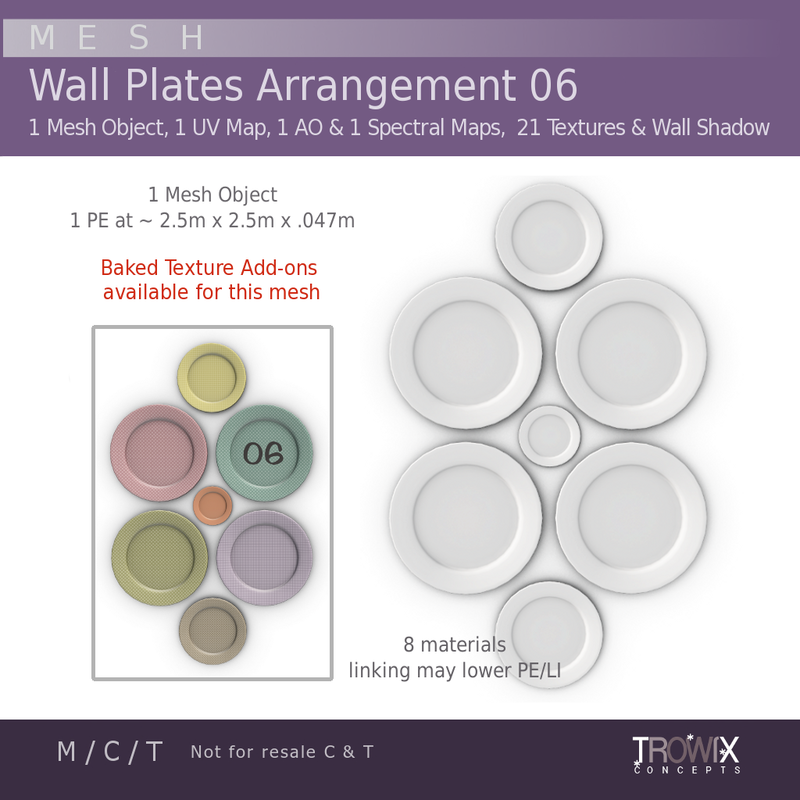 *extra Baked Texture add-on packs are available for fast building convenience. 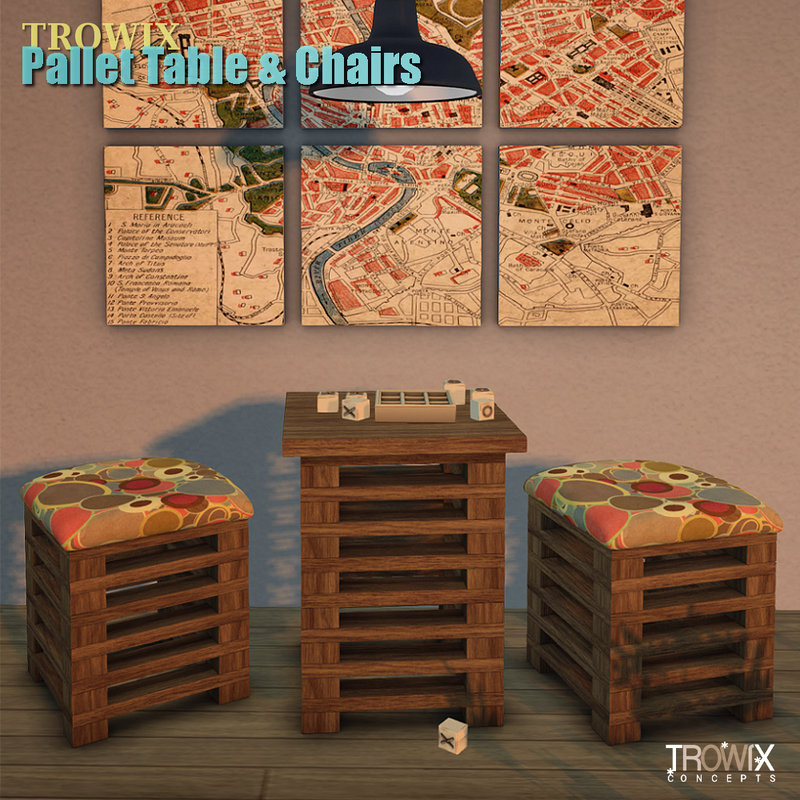 At about 1 prim per group (and even less) you know you need these! 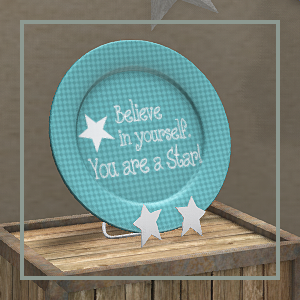 ..in both your home and garden. 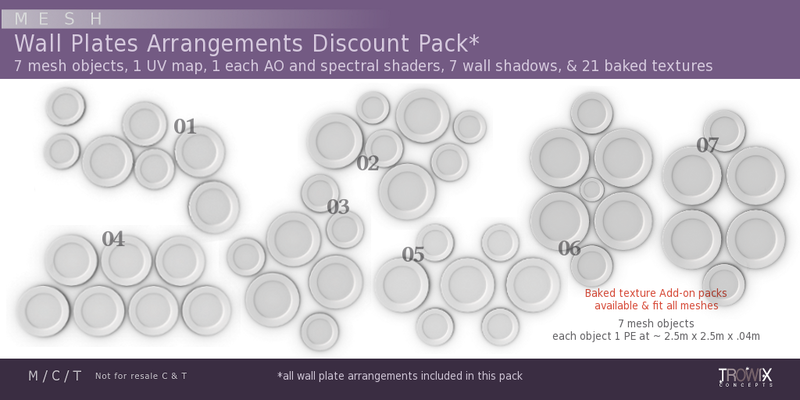 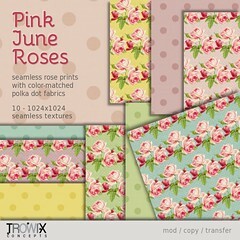 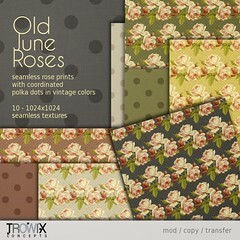 ..and don’t forget the texture add-on packs!